Hello friends! February is coming and it means St.Valentine's Day is coming too! Today we're here to share our new release with you all! Use coupon new25 in your cart to get this 25% discount! It is valid thru February 1st! Don’t forget to join our Facebook group where we share our projects and give away prizes each week! Hello everyone! 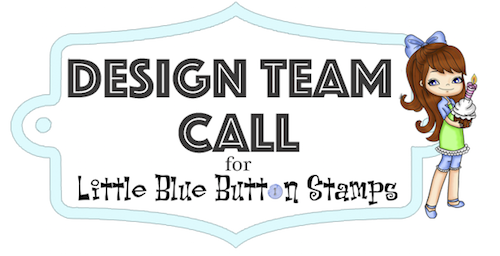 This is another design team call for Little Blue Button digital Stamps for 2017! We are searching for crafty people who like to color and play with digital stamps! What is digital stamp (digi)? This is a digital drawing which you print out, color, cut out and use on your projects! They are the same as rubber or clear stamps, but they are digital and you can keep them in your computer and buy them via email! - personal bio and photo will be placed on our blog. - DT members are accepted for one year term, but if you feel like you're not going to make it - you are free to go after notification. - share one project per 2 weeks on his/her blog or YouTube channel following to the given schedule. 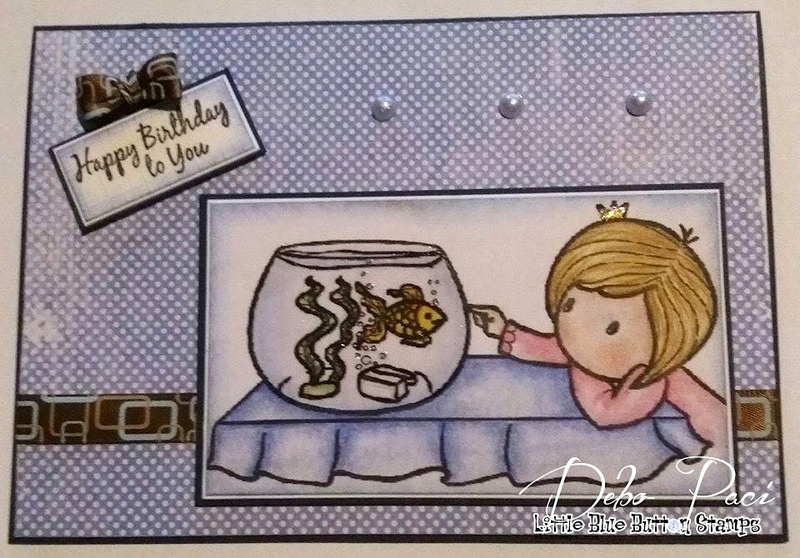 Make posts/videos is obligatory on the day of publishing in the LBBS blog. 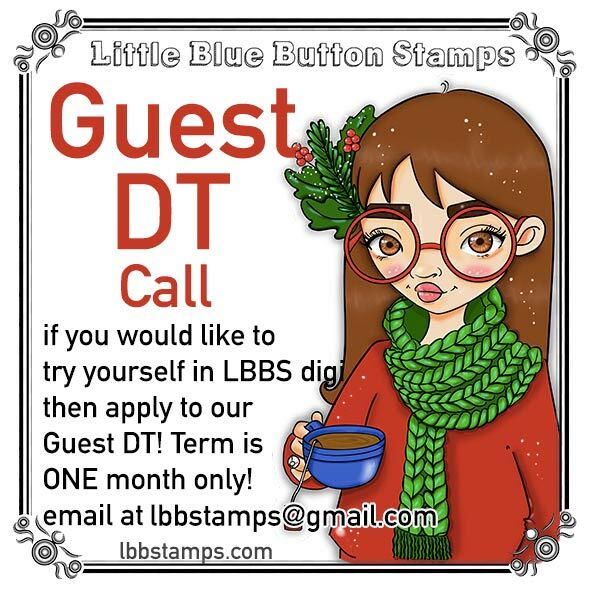 - promote Little Blue Button Stamps by using our images, mentioning LBBS news and promotions, and linking to our shop. - a little bit about you - your main style, why do you like to join our DT, any DT you are currently in and were in before. All new accepted members will be notified via email within a few days after the end of our call and announced in our blog thereafter. I am sorry for abandoning this blog and FB group for some time - I am the only one administrator and illustrator of everything, so I am a little bit tired! 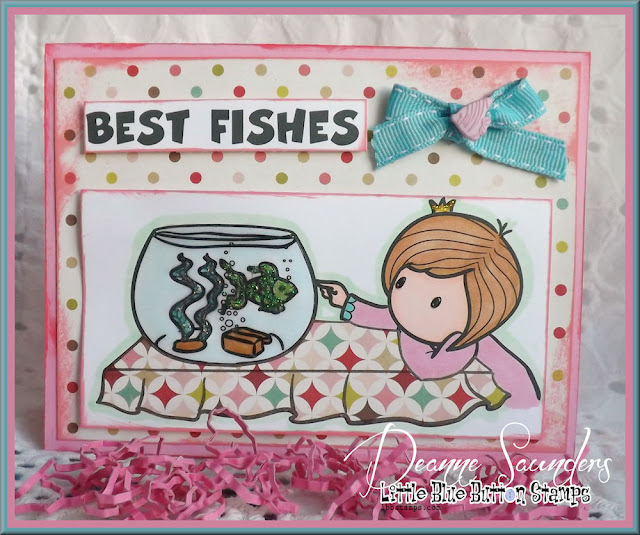 I had no powers to do my chores so I gave myself a little break - thanks to my awesome and ever so talented Design Team who continued to create their inspiration projects for the blog and shop! Later today there will be DT Call post with all the details - so if you feel like you want to color some digis and have fun with them - stay tuned! Hey hey hey! Happy 2017 year everybody!